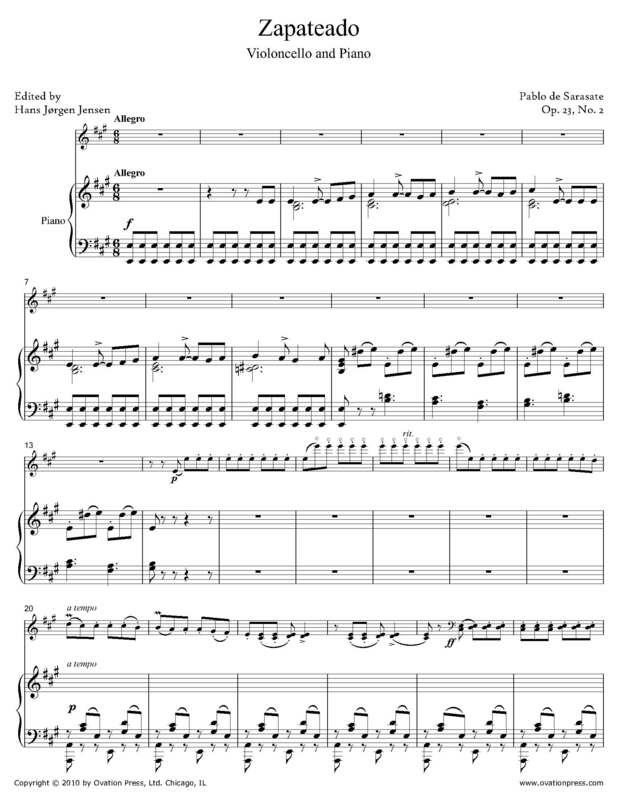 Emanuel Feuerman’s exquisite recording of this work was the inspiration for this transcription in the original key of A-major, a fifth higher than the standard violoncello version. The Spanish dance Zapateado is characterized by lively rhythm which is punctuated by the striking of dancers' shoes, akin to Flamenco. The piece is full of harmonics, double stops and left hand pizzicatos.